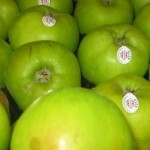 UK-grown apples are in season from September to the end of the year. Many are perfect for enjoying on their own as a delicious, healthy, energy-boosting snack. Follow a recipe; follow food safety & hygiene rules; tidy away; chop using bridge/claw safely; use measuring cups and spoons. Knife, chopping board, spoon, bowl, baking dish, oven gloves. Wash the apple and cut in half vertically, then cut out the core. Place in an oven dish, with apple skin facing downwards. Squirt lemon juice over the apple flesh. Sprinkle on the raisins, dividing between the two apple halves. Mix the cinnamon into the crushed wheat biscuit and sprinkle the mixture over the two apple halves. Dot the cereal topping with the margarine and drizzle with honey. 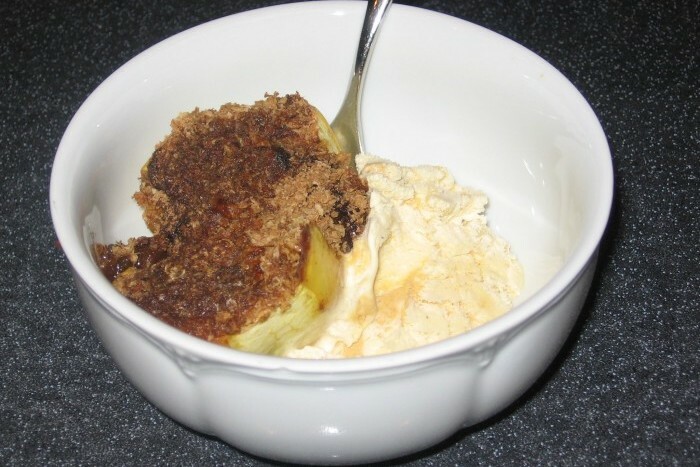 Bake in the oven for around 20 minutes, until the apple is tender and the topping golden. 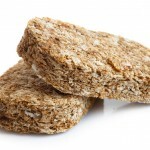 Wheat Biscuits are high in fibre and have a number of vitamins and minerals (including iron) added to them. They are low in fat, sugar and salt.